But enough of that. Welcome to Art Impressions Blog Hop, hopefully you have arrived from Karen's blog. I made my card with our current Getting Girly Challenge in mind - lots of pink! Ok, next on the hop is the super talented Cheryl. Such pretty, soft tones, Judith!! Great coloring and color choices. Love that you fussy cut them out and then popped them up. It really makes them stand out. Loving this line. So cute. 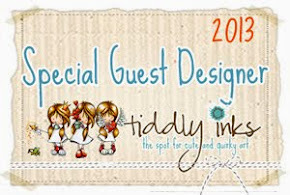 I am new to the Art Impressions designs and the BFF LINE has inspired me to order. Judith, your coloring is gorgeous!! LOVE, LOVE, LOVE!!!! Very nice card, I like the colors. Lovely color combo and the CAS design really showcases the new girlfriends image! All these BFF stamps make me miss my bff! The soft colors are beautiful . Love this card. Your soft colors help your card to be extra "girly." Love it! So pretty. Thanks so much for sharing. Love the shading on this. 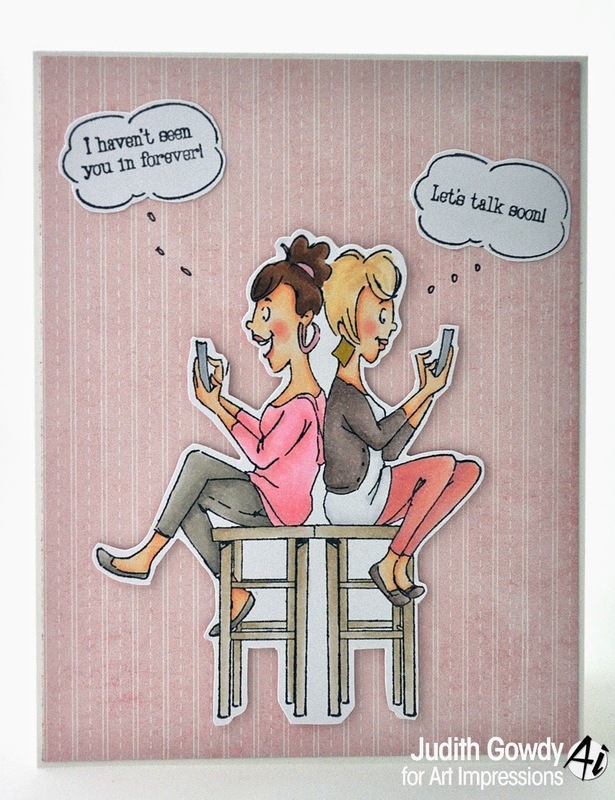 Love this card, love the BFF stamps ! Pretty card, love the color combos you used. I love those outfits! Great colors. Love this card. It simple, but very eye catching. Your coloring is fantastic -.love these new AI stamps. Loving the colors, greys and pinks my favs. Great card. Clean and simple. Perfect! Super cute card! The background paper reminds me of wall paper, perfect choice!